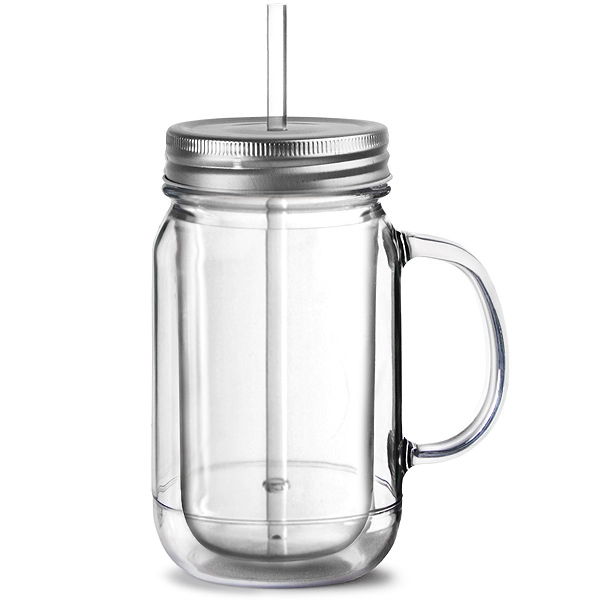 A modern twist on the classic Mason jar, the Double Wall Plastic Mason Drinking Jar Glasses from bar@drinkstuff are both practical and stylish. 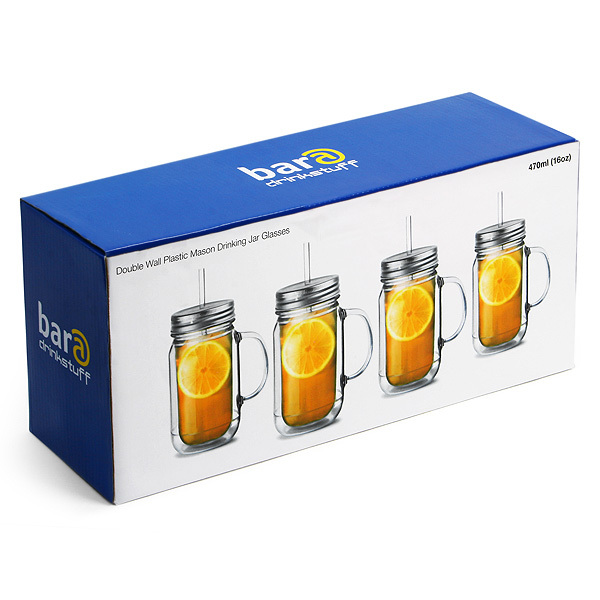 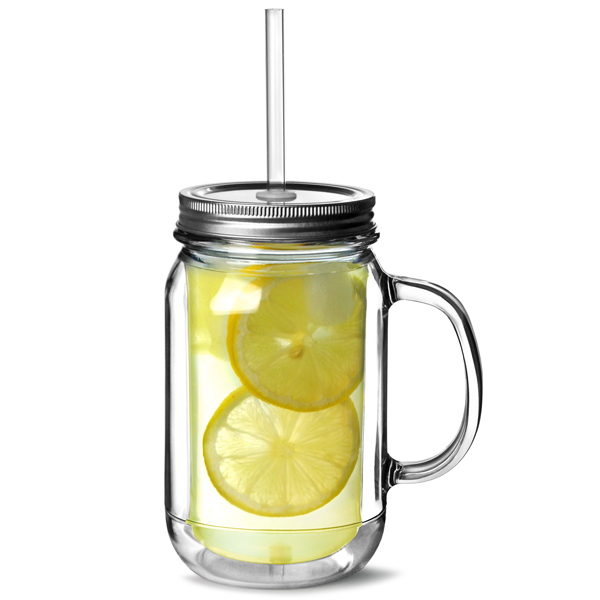 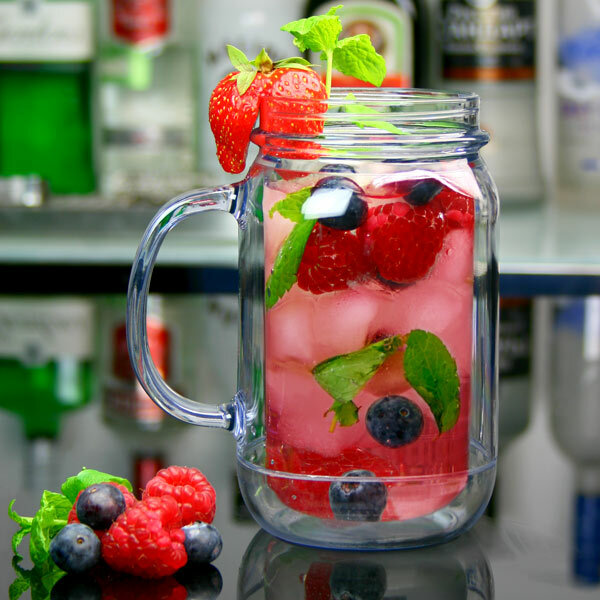 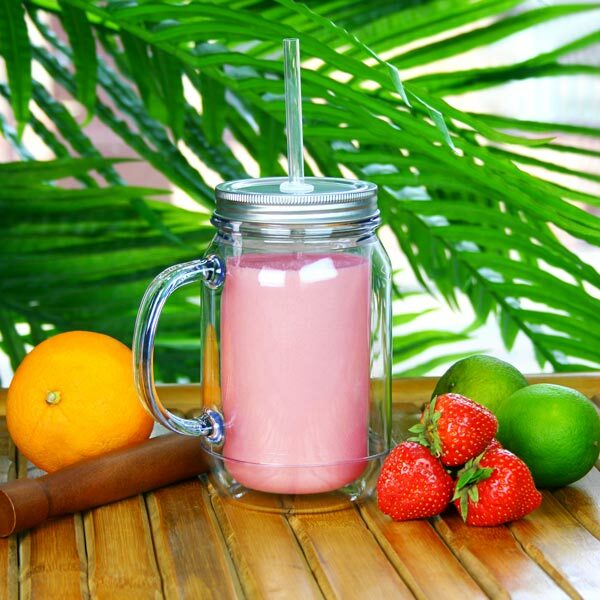 Complete with handle, these jars are the perfect shape for enjoying a classic cocktail or soft drink, while the double wall insulation ensures your drink stays cooler for longer. 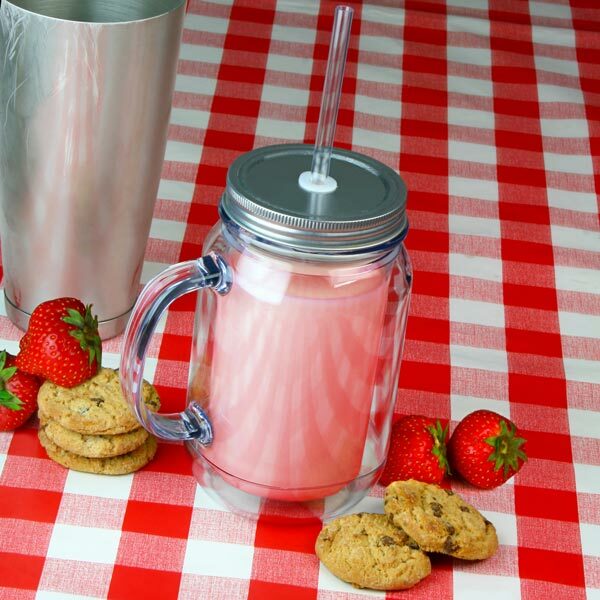 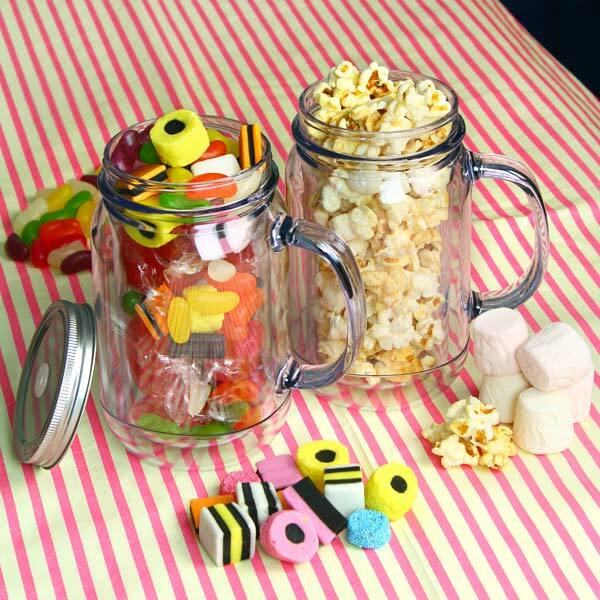 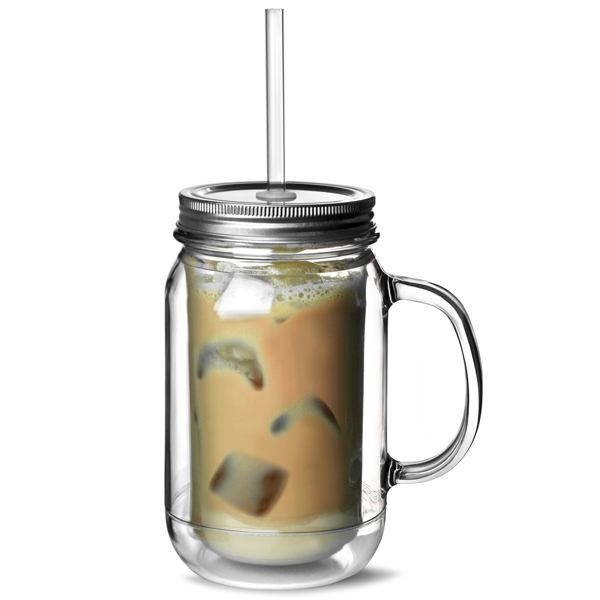 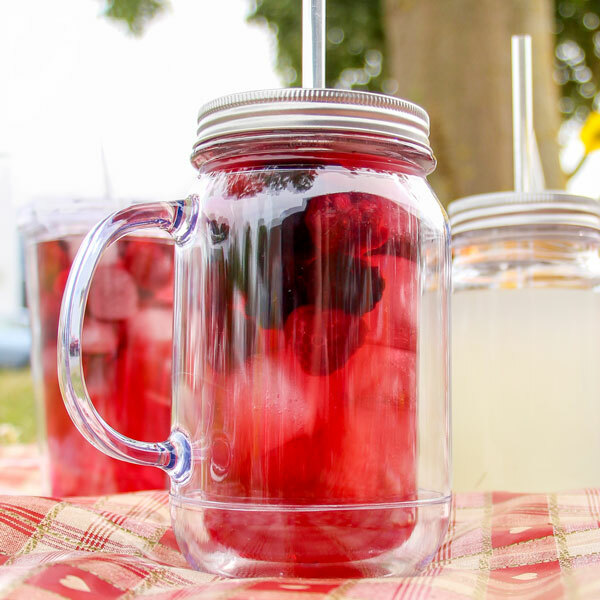 Perfect for picnics, BBQs or barn dances, these handy plastic jars feature a lid and straw to prevent spills.